On April 28, 2011 Indiana State Trooper White stopped Patrick Austin as he was traveling east along the 80/90 Toll road to conduct a routine vehicle inspection. 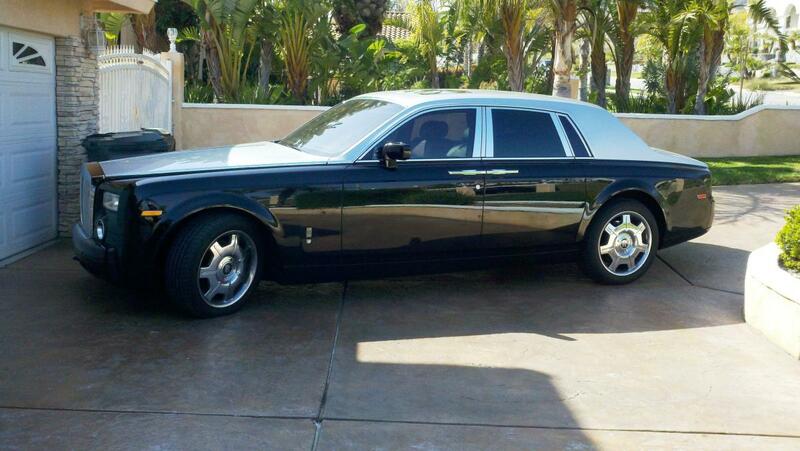 Austin was driving an extended cab trailer with an attached enclosed trailer containing a black 2008 Rolls Royce Phantom and a white 2007 Mercedes-Benz. After completing his inspection and noting the incomplete shipping documents and logs, Trooper White released Austin to continue toward his destination. After releasing Austin from the traffic stop, Trooper White contacted the El Paso Intelligence Center (EPIC) which provided him with information about a seizure of one million dollars in bulk cash two years previous, as Austin was heading west just north of the Michigan boarder. Trooper White notified Indiana State Police Trooper Dockery and his K-9 partner Hondo of the information. Trooper White also contacted Michigan State Trooper Patino, who handled the previous stop in Michigan. Trooper Dockery observed Austin’s vehicle traveling east toward Elkhart and after observing two traffic violations, conducted a traffic stop in Elkhart County. During the traffic stop Trooper Dockery ran his K-9 partner around the vehicle where Hondo alerted to the presence of narcotics in the cab area, at the trailer, and on the Mercedes-Benz inside the trailer. Trooper Dockery then obtained a search warrant. After off-loading the Mercedes-Benz and the Rolls Royce, ISP troopers inspected the Rolls Royce and Mercedes-Benz and located 29 kilos, around 64 pounds, of cocaine bricks stored in a hidden compartment of the Mercedes-Benz. The opening switch for the trunk of the Rolls Royce was disabled, and troopers had to order a key from Rolls Royce in the UK to be able to open the vehicle. 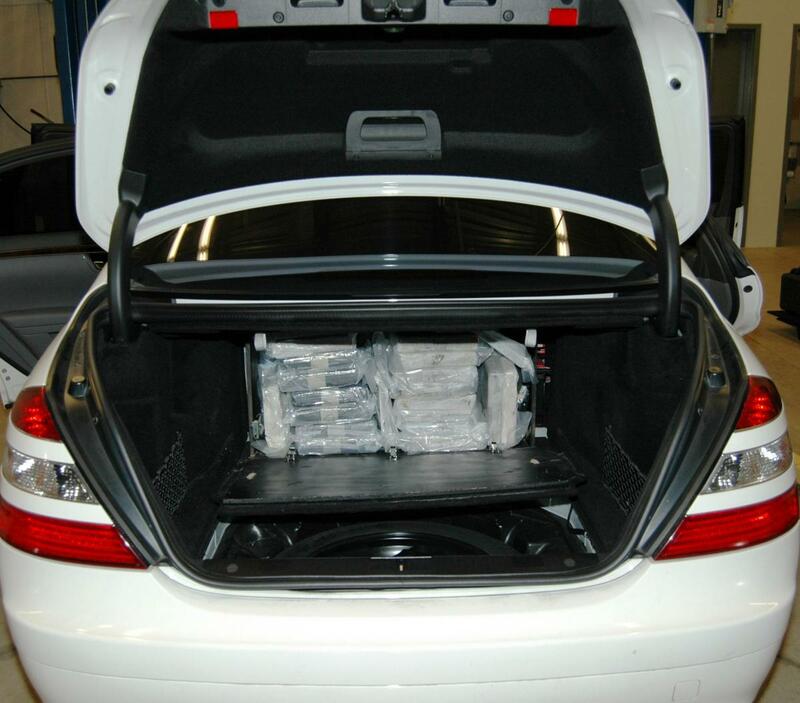 A week later, troopers received the key and located an additional 11 kilos of cocaine inside the trunk of the Phantom. 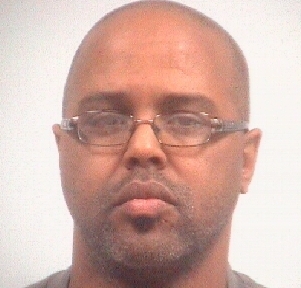 On May 4, 2011 the Elkhart County Prosecutor’s Office charged Patrick Austin with Dealing in Cocaine, a Class A felony. 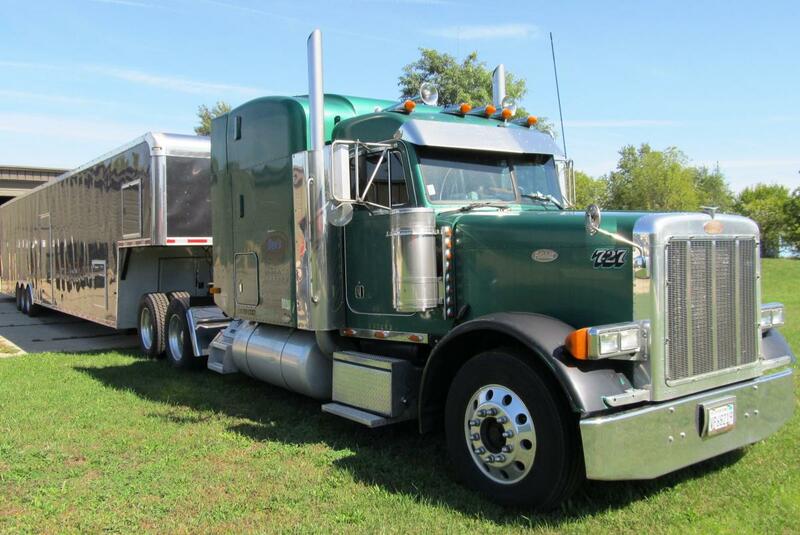 The Peterbuilt tractor, the attached enclosed trailer, and the vehicles containing the cocaine were seized during the investigation. Within days of the traffic stop, a representative from the M Car Company contacted Investigator Dave Gizzi of the Elkhart County Prosecuting Attorney’s Office. According to the representative, the Rolls Royce Phantom was a leased vehicle, and they were attempting to reclaim it due to non-payment. Unbeknownst to Austin, the original leasing agency had installed a Blackline GPS system inside the Rolls Royce Phantom and it had recently activated at the State Police post along the toll road. Vehicle technicians were able to remove the GPS from inside the dashboard of the vehicle, and investigators obtained associated records for the device from Blackline GPS. Analysis of the data showed that over the past seven months the vehicle was based mostly out of the greater LA area, but also trips to the Perrysburg, OH area. Austin’s five day jury trial began on October 24, 2011 in Elkhart County Superior Court 3. Deputy Prosecuting Attorney Peter Britton presented the State’s case facing a four person legal defense team including lawyers from Detroit and Indianapolis. The State called numerous investigators from the Indiana State Police, Michigan State Police and local law enforcement. Prosecutor’s Office Investigator Dave Gizzi testified regarding his trip to California. During his trip Investigator Gizzi visited Austin’s million dollar home in Rancho Cucamonga, California. During the initial traffic stop Austin told investigators he was not familiar with the vehicles he was hauling, however pictures on Austin’s phone showed the Rolls Royce in front of Austin’s house taken just 6 weeks before its final trip to Elkhart County. He also had an opportunity to visit dealerships involved with some of the fraudulent transactions surrounding the vehicles. The State also called an expert from Blackline GPS who traveled from Canada to testify regarding the device located in the Rolls Royce and the corresponding records. Data from the GPS records indicated that on two occasions in 2010 the vehicle was located in hotel parking lots in Perrysburg, OH. Investigators followed up on this lead and found Austin had stayed at the corresponding hotels when the Rolls Royce was in the parking lot. Further investigation located records for at least five additional hotel stays, although Austin’s extended cab included sleeping quarters. Each of the hotel stays after January 2011 corresponded with gaps in the GPS data, similar to the gaps in the 2010 data from the occasions when the Rolls Royce was being transported back and forth from Perrysburg, OH. Time gaps in the GPS data combined with records from Perrysburg, Ohio hotels indicated Austin may have made as many as seven similar cross-country trips in 2010-2011 before the seizure in Elkhart County. In all DPA Britton calculated this traffic stop and the subsequent investigation by law enforcement kept approximately 200,000 doses of cocaine with a street value of about four million dollars off the streets of American cities. An Elkhart County jury found Austin guilty of two counts of Dealing in Cocaine, a Class A felony, and he was sentenced to 40 years in the Indiana Department of Correction. On November 15, 2013 the Supreme Court of the State of Indiana upheld Patrick Austin’s conviction. 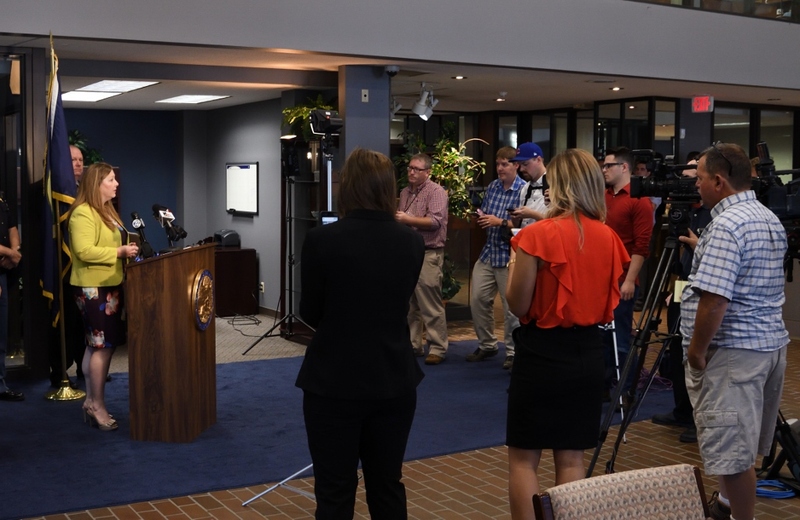 While the Elkhart County Prosecuting Attorney’s Office was responsible for holding Austin accountable for his crimes, agents across the country have continued to investigate the operations of the larger drug trafficking network. Check out this recent article in the Detroit News explaining how this local conviction ties into the ongoing cross-country investigation. Jose Alejandro, 21, of Elkhart, lost his familiar smile on May 24, 2013, as Elkhart Circuit Court Judge Terry Shewmaker committed him to the Indiana Department of Correction for the next 100 years. During the State’s sentencing argument highlighting the extensive amount of aggravating factors in the case, Alejandro looked directly at the prosecutor with the same smile he had previously displayed to the jury and several of the witnesses during the trial. Alejandro addressed the court, arguing he had potential to be better in the future, notwithstanding his violent character. The judge noted that, he too, had observed Alejandro’s behavior and conduct during various court proceedings. That attitude, coupled with the delinquent behavior that Alejandro had been exhibiting since age nine (9), the illegal use of alcohol and drugs, all of the opportunities that prior juvenile court interventions had attempted, and the violent and callous behavior which was the subject of the case, illustrated the need to remove Alejandro from the community for an extensive period of time. Alejandro was convicted in less than one hour by an Elkhart County jury in April after evidence was presented showing he forced Flavio Contreras, 20, from his Elkhart home in the late evening hours of May 23, 2012, by threatening to kill Contreras in front of his family with a handgun concealed behind his back. Contreras’ family observed Flavio’s expressions change from happy and content, to worry and fear, as Alejandro promised them Flavio would return in half an hour. Hours later, Flavio’s mother called Alejandro, begging for information as to her son’s whereabouts. Alejandro only told her that Flavio had “misbehaved” and lied to her about what had occurred that night. However, miles away, Flavio Contreras lay bleeding to death in a ditch on County Road 19, northwest of Bristol, after being shot numerous times by a gang associate of Alejandro, with the gun Alejandro had used to force Contreras from his home. At the trial, Contreras testified that Alejandro had been a friend of his family before associating himself with the Latin Kings gang. An acquaintance of Contreras had posted an insult aimed at the Latin Kings on the social networking site, Facebook, which appeared to have motivated retaliatory behavior on the part of Alejandro. Being unable to find the instigator, Alejandro and other Latin Kings drove Contreras around attempting to force Contreras to assist in locating him to allow for retaliation; however, Contreras refused. Upon stopping in a remote area on County Road 19, Alejandro passed his handgun to another Latin King, directing that Contreras be shot. After shooting Contreras twice in the head, once in the arm, once in the hand, and once in the back, Alejandro and his associates then kicked and beat Contreras, then left him to die. A passerby found Contreras in the early morning hours of May 24, 2012, and contacted authorities who rushed him to Elkhart General Hospital for emergency medical treatment. Contreras suffered extensive injuries and spent weeks in hospitals recovering. Alejandro was charged with Attempted Murder, a Class A felony, as well as the Criminal Gang Sentencing Enhancement, which requires the sentence on the underlying crime to be doubled. Plea negotiations were unsuccessful and Alejandro was tried by a jury the week of April 22, 2013. Alejandro’s sentencing hearing was held on May 23, 2013. While his prior patterns of delinquency, his selfish behaviors, his lack of respect for the laws of the State of Indiana, and his lack of remorse for the victim were documented by the court as aggravating factors, Alejandro began to look at the table, then toward the wall, then off to the side, as his smile faded and he appeared to finally realize that his own actions had brought about his dim future. Exactly one year after attempting to take the life of Flavio Contreras on May 23, 2012, Jose Alejandro was sentenced to spend most of the rest of his in prison. Alejandro intends to file an appeal. Luis A. Bailey claimed he could not give an answer as to why he brutally beat and murdered Norma Hopper on December 21, 2012, stating merely that “…the Devil has a very sweet voice….” Bailey, now 18, of Elkhart, explained that he was looking for money and the victim’s car keys when he broke into Ms. Hopper’s home on Michael Drive, Elkhart, in the early morning hours of December 21, 2012. Once inside, Bailey unplugged the phone, and beat Ms. Hopper in her bed with a fencepost he had brought in with him. Afterward, Bailey, while searching for items of value, heard Ms. Hopper moaning and proceeded to beat her with the fencepost even more until she was completely unresponsive.. Taking a small amount of money and Ms. Hopper’s car, Bailey fled the murder scene and went to find some marijuana to purchase. Ms. Hopper’s car was found abandoned in Michigan a few days later. The Elkhart County Sheriff’s Department, with assistance from other area law enforcement agencies, conducted a thorough investigation and located Mr. Bailey hiding out with some friends two days later. Bailey, a juvenile at the time, consulted with his parents and admitted the details of his actions, recounting how he intended to commit burglaries in the Michael Drive neighborhood that night, and learned the victim was home after ringing her doorbell then leaving due to her calling the police. Later, after police had left, Bailey returned to the home and broke in through an unlocked window at the back of the house to take car keys and some change he had observed through the front door windows. Bailey also admitted extensive information about beating Ms. Hopper and fleeing with her property. Bailey had previously been offered numerous services and treatment opportunities during his past involvement in the juvenile criminal system for minor offenses, including use of marijuana. However, his actions illustrated that he continued to use marijuana and disrespect the laws of the State of Indiana. The Office of the Prosecuting Attorney allowed Bailey to plead guilty to Murder in early May to an agreed term of sixty-five (65) years at the Indiana Department of Correction, the maximum sentence for the crime of Murder, in lieu of filing a request for the enhancement of Life Imprisonment Without Parole. As part of the plea agreement, Bailey also waived his rights to appeal his conviction. On June 7, 2012, at approximately 5:50 A.M., 42-year-old Daniel Snead was driving a car westbound on CR 20 approaching the US HWY 20 overpass. Eighteen-year-old David Anglemyer and his best friend, 19-year-old Daniel Runion, were riding bicycles eastbound having just left Daniel’s house in Osceola. Snead’s Ford Taurus crossed the center line and struck the two young men in a head-on crash. Both boys were flung from their bikes, after which Snead’s car struck the concrete support structure for the overpass. David Anglemyer was pronounced dead at the scene, and Daniel Runion was transported to Memorial Hospital by helicopter where he was later pronounced dead from injuries from the crash. Toxicology results from Snead were positive for methamphetamine and marijuana. Snead told police that he had smoked a methamphetamine-“laced” marijuana cigarette or “joint” the night prior to the crash. Snead was charged in the deaths and pleaded guilty on January 17, 2013, to both charges. He was sentenced on February 21, 2013, to a total of 30 years, with 6 of those on reporting probation, 6 at community corrections, and 18 at the Indiana Department of Correction. Family members for both boys were represented at the hearing before Judge Shewmaker in Elkhart Circuit Court.